(Nanowerk News) With the increasing use of drones in military operations, it is perhaps only a matter of time before robots replace soldiers. Whether fully automated war is on the immediate horizon, one researcher says it’s not too early to start examining the ethical issues that robot armies raise. In her recent thesis on the ethics of automation in war, Linda Johansson, a researcher in robot ethics at Sweden's KTH Royal Institute of Technology, suggests that it is necessary to reconsider the international laws of war, and to begin examining whether advanced robots should be held accountable for their actions. The use of drones – or unmanned aerial vehicles (UAV) – is increasing, and more money is being poured into developing them, clearly changing the context of conflict and raising new questions. “It's not too early to start discussing these kinds of issues … given the speed of development,” Johansson says. According to a UN survey, civilians have been killed in 33 separate drone attacks around the world. 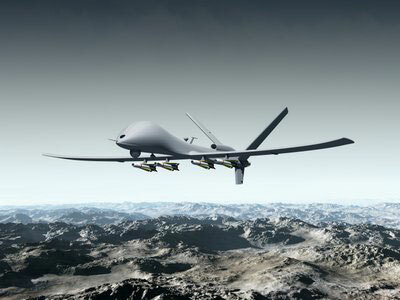 In Pakistan, an estimated 2,200 to 3,300 people have been killed by drone attacks since 2004, 400 of whom were civilians. According to the latest figures from the Pakistani Ministry of Defense, 67 civilians have been killed in drone attacks in the country since 2008. “Soldiers may kill other soldiers in a war - would it be permissible for someone on the other side of the earth to attack the operators who control the drones?” Johansson asks. Currently drones are still operated remotely by a human being, but technological advancement is so rapid that full automation is more than just a grim science fiction fantasy. “Soon we may be facing a situation where an operator controls two drones instead of one, on account of cost reasons,” Johansson says. “Add to that the human tendency to rely on technology. Now imagine a situation where very quick decisions must be made. It becomes easy to step out of the decision loop and hand over control to the robot or computer. It could also be argued that robots are not entitled to defend themselves, since under the rules of war they are not in danger of losing their lives. “Does it mean that they have lost the right to kill human soldiers?” she asks. Robots, especially drones, can also facilitate the conduct of "secret war", with low transparency and minimal involvement of troops. Linda Johansson's research has resulted in a compilation of seven articles. In addition to autonomous systems in the war, she studied other aspects of robots. One of the articles is about care-giver robots and the ethics around them. Two of her articles focus on the so-called “agent landscape” – or if and when advanced robots can be held responsible for their actions.